The photos show a stainless steel Capristo exhaust system, with remote control sound level , that we mounted under a Ferrari 599. The exhaust system features high quality materials, construction, finish and a choice of sound levels. “Specifying the remote control kit with your Capristo will enable you to control when the exhaust valves open or close, thereby enabling you to remotely silence your system or increase the sound whenever you want, regardless of revs, load or how you are driving”. The sound is fantastic by the way. For more information visit the Capristo website and then give us a call. 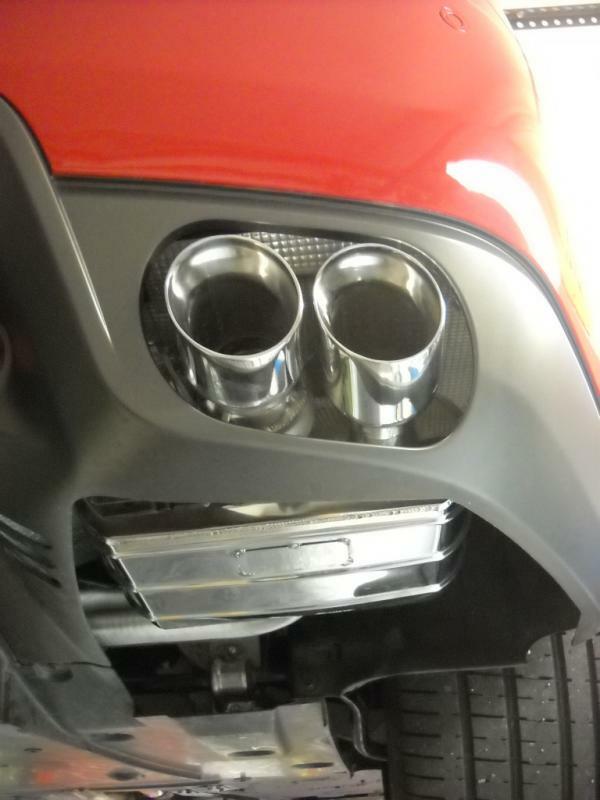 We’ll be happy to install a Capristo exhaust system under your Ferrari, Maserati, Lamborghini or one of the other Capristo catered-to car makes.